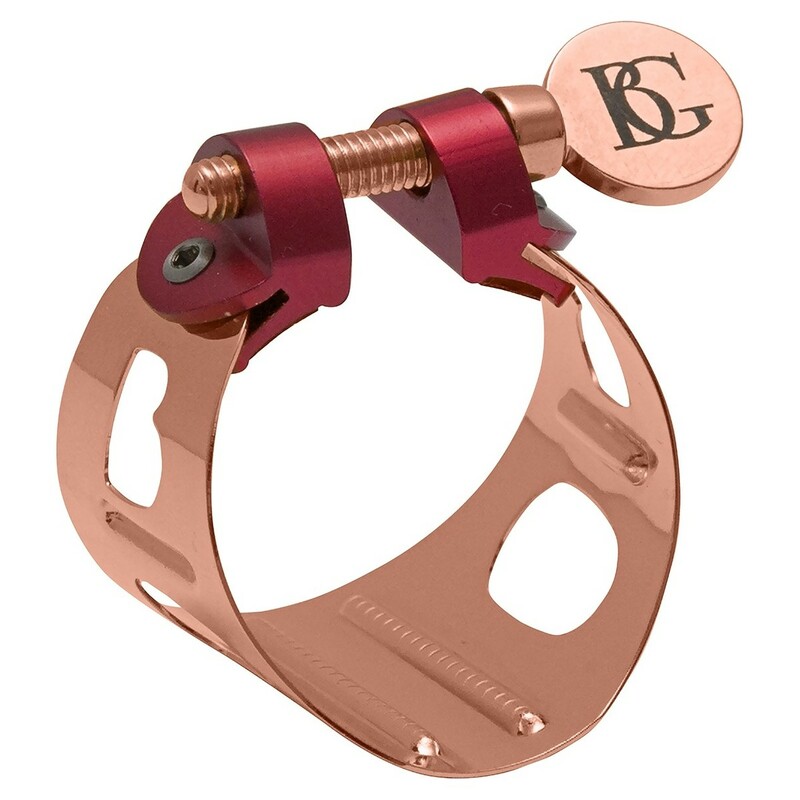 This BG Soprano Saxophone Ligature is made from metal and then finished with rose gold plating, which provides a much softer and focused tone as well as deeper and more flexible sounds. The accessory is capable of producing clear sounds and precise staccato. Intonation is stable throughout all of the saxophones registers and articulation is precise. To achieve maximum vibrations, BG has designed a ligature which has minimum contact however still grips well. The design has enabled quick and easy changes of the reed or instrument so players can focus solely on their musical preparation.